Our dentists can perform root canal treatment to stop the infection from spreading and will preserve as much of your tooth as possible. Using specific techniques and advanced equipment, the treatment overall should feel no different to having an ordinary filling placed. 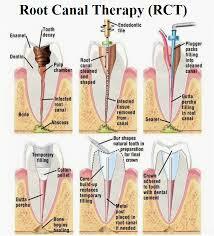 The aim of the treatment is to remove all infection from the root canal. The root is then cleaned and filled to prevent any further infection. If you require an emergency dental treatment, we will endeavour to get you an appointment to see a dentist as soon as possible. As a current patient of Young’s Dental Practice, we will try to get you an appointment the same day if you call us first thing! 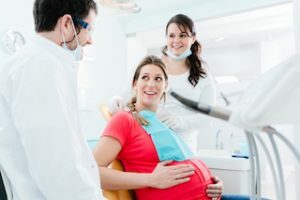 Hormone changes during pregnancy can affect your oral health and many pregnant women notice that their gums are red, inflamed and sometimes bleed when they brush their teeth. The swelling and inflamed gums are referred to as ‘pregnancy gingivitis’ and can start as soon as the second month of pregnancy. The hormone progesterone can be around 10 times higher than normal during pregnancy, affecting the body’s response to toxins as a result of plaque build-up. Women are therefore more susceptible to developing periodontal disease when these hormonal fluctuations occur. The way your teeth meet when your top and bottom jaws close down on top of each other is known as your ‘bite’. If your teeth don’t fit together properly, you could have malocclusion or ‘bad bite’, which can cause problems with your teeth, gums, the temporo-mandibular joint (TMJ) and the muscles in your face. This misalignment, often referred to as TMJ disorder, can also cause some people to clench the jaw and grind their teeth at night. This can lead to facial pain, headaches, discomfort and clicking when biting or chewing, migraines as well as neck and shoulder pain, even back pain. 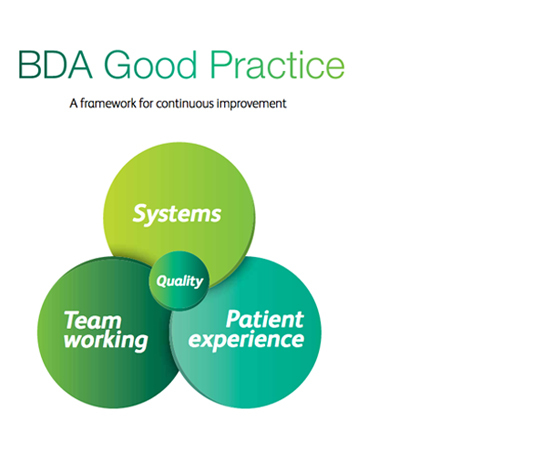 Here at Young’s Dental Practice, we have the right equipment and sterile environment in which to perform this type of procedure with the utmost care, and your recovery can be fairly quick. In the case of wisdom teeth extractions you may have some swelling after the procedure and discomfort that can be eased with over the counter painkillers.